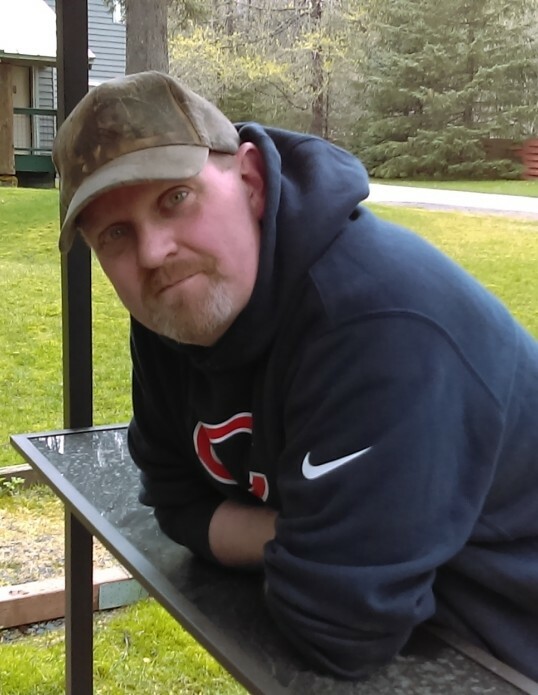 Matthew Edward Nagel, age 41 of Fairbanks, beloved husband, father, and son, succumbed to cancer in his home, surrounded by his family, on the morning of November 7, 2018. Born on July 13, 1977 at Elmendorf Air Force Base in Anchorage Alaska to Alvin and Ruth (Pehlke) Nagel, Matt enjoyed a childhood moving around the world as a military brat. With his friendly, caring nature he easily made friends wherever he lived. The love of traveling inspired him to join the US Air Force in 1996. Matt was a natural leader, well like and respected by both his troops and leadership, receiving the Air Force Commendation Medal, Air Force Good Conduct Medal with 7 Oak Leaf Clusters, National Defense Service Ribbon during his time in service as well as Global War on Terrorism Expeditionary Medal during his brief tour serving in the Middle East. He served his country honorably for 18 years as an Aircraft Maintenance Mechanic, retiring in 2014. While in the service, he continued his education earning his Airframe and Powerplant license. After retiring from the USAF, he secured a job with Bombardier, where he worked until it was no longer feasible due to his health. Matt met Dawn Ariella (Mac Neil) his Junior year at Chugiak High School in Eagle River, AK. They were inseparable, and no one was overly surprised when they announced their engagement and married in 1997. In 2017, he and his family moved to Fairbanks where Matt became a stay at home Dad to his four boys, Corben (19), who is currently serving in the US Navy, Chase (18), Aiden (16), and Morgan (14) who are all enrolled in Fairbanks schools. His boys knew they came first in his world. Through his love and guidance, they learn all they need to grow into outstanding men. Matt enjoyed restoring classic cars, fishing and camping with his family and friends, watching sports, and spending time with his family. He was active with Kansas Special Olympics and the Downs Syndrome Society of Wichita, often volunteering both his time and money. Matt always tried to live life to the fullest and he was fiercely loyal to those he loved and cared about. If you were having a problem, he was right there helping in any way he could. You could always count on him to do the right thing. If you were blessed to know Matt, your world was a better place because of him. Matt's passing leaves a huge hole in so many lives. He is survived by his wife, Dawn Ariella Nagel of Fairbanks, sons, Corben Lawrence Nagel, Chase Alexander Nagel, Aiden Mac Neil Nagel, and Morgan Edward Nagel all of Fairbanks, parents, Alvin and Ruth Nagel of Eagle River, and brother and sister in law, Michael and Tasa Nagel of Anchorage. Matt was preceded in death by his sister, Rosemary. A Celebration of Life will be held on Saturday, November 17, 2018 from 2:00 until 4:00 p.m. at the Antler Room at the Fairbanks Elks Lodge 1551, 1003 Pioneer Street, Fairbanks, AK, with Military Honors. Dress is casual, family requests attendees refrain from wearing black. Matt requested the Memorial donations be made in lieu of flowers to his favorite charity, Special Olympics. Contributions may be made by searching for Special Olympics Alaska Donate.